Paige Hornsby teaches graduate and undergraduate courses in global and public health, including a Maymester course in the Dominican Republic. 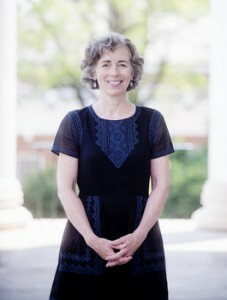 She directs Integrative Learning Experience projects in the Master of Public Health program and is the primary academic advisor for students in the Global Public Health concentration of the Global Studies major. She is also a Fellow at UVA’s Center for Global Health and a member of the Improving Pregnancy Outcomes Work Group at the Thomas Jefferson Health District. She received her BA in Human Biology from Stanford University and her PhD in Epidemiology from the University of North Carolina at Chapel Hill. Her research is in reproductive epidemiology and maternal and child health. Kellams AL, Gurka KK, Hornsby PP, Drake E, Riffon M, Gellerson D, Gulati G, and Coleman V. The impact of a prenatal education video on rates of breastfeeding initiation and exclusivity during the newborn hospital stay in a WIC-eligible population. J. Human Lactation 2015 (in press). Gurka K, Hornsby PP, Drake E, Kinsey E, Mulvihill E, Yitayew MS, Corriveau S, Lauer C, and Kellams A. Exploring intended infant feeding decisions among low-income women. Breastfeed. Med. 9:377-384, 2014. Gellerson D, Hornsby PP, Lowenhaupt SA, Bressler CJ, Burns WR, Friedman CF, Vaughn NH, Marshall SP, Park J, and Kellams A. Prevalence of baby bottle versus breastfeeding graphics on products in national chain stores. Breastfeeding Medicine 2012 (in press). Jukic AMZ, Weinberg CR, Baird DD, Hornsby PP, and Wilcox AJ. Measuring menstrual discomfort: a comparison of interview and diary data. Epidemiology 2008;19:846-850.